Soul searching triggered by Kenya’s 2007–08 electoral violence galvanized legal reforms aimed at mitigating future violence. Would they be effective in the August elections? Since Kenya began its transition to a multiparty democratic system in 1990, cyclical electoral violence has been a feature of all but one election. This has often been a result of Kenyan politicians mobilizing their supporters along ethnic lines to enhance their political advantage. The most searing case of electoral violence was during the 2007–08 electoral cycle when a disputed presidential election resulted in an estimated 1,300 deaths and over 600,000 displacements, which the International Criminal Court ruled amounted to crimes against humanity. The soul searching triggered by the 2007–08 election violence galvanized a lengthy constitutional review process. 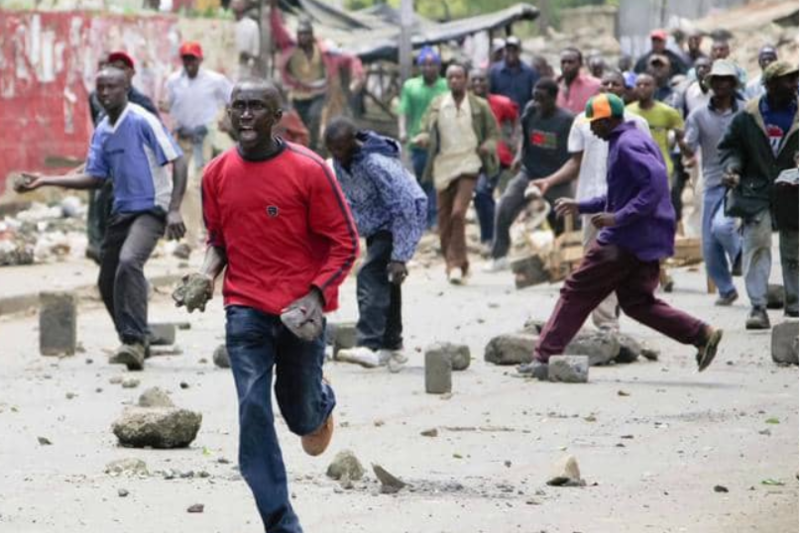 As Kenya prepared to conduct its second general election under the 2010 Constitution, there were again warnings that violence is possible. A key question, therefore, is whether institutions designated in the Constitution with managing elections and resolving related disputes would deliver credible, free, and fair elections for the 1,882 contested positions, including the presidency. This review assesses the standing of these institutions. Kenya’s electoral commissions have historically been among the most unstable and distrusted public institutions in the country. After each electoral cycle, all but one commission have been forced to replace commissioners due to sustained public pressure over alleged impartiality. In addition to stunting the institutional development of the Independent Electoral and Boundaries Commission (IEBC), the perennial lack of trust in Kenya’s electoral commission has facilitated the apprehension and societal stability that accompanies every contest for presidential power. Concerns around the IEBC have pertained not so much to its capacity as to the process established in law for managing elections. For instance, amid allegations of rigging, the commission that organized the 2007 elections operated with such opacity that it was difficult, by the chairperson’s own admission, to confirm that the incumbent won the presidential election. In 2013, the failure of the electronic voter identification (EVID) and transmission system would subsequently feed allegations of ballot box stuffing in an election won by several thousand votes. In an effort to provide greater clarity over the mandate and limitations of the IEBC, the main opposition party coalition filed a series of legal cases throughout the 2017 electoral cycle. The IEBC’s role extends to enforcing the law relating to election offenses, a category that encompasses practices such as voter bribery and intimidation. Perhaps aiming to send a strong message to candidates, the IEBC’s Conflict Resolution Committee has issued severe penalties, disqualifying some candidates and imposing stiff fines on others. An incumbent governor and his challenger were fined 1 million shillings ($10,000) each for inciting violence between their supporters that resulted in the death of a vendor. Despite these positive steps, the historical weakness of the IEBC, especially vis-a-vis the incumbent party, has maintained the perception that the Commission is not an impartial arbiter. The 2010 Constitution introduced far-reaching reforms of the judiciary, including measures to secure its administrative, operational, and financial independence. Consequently, the judiciary has been emboldened by its ability to manage its own budget, assess and fill staffing needs, and maintain independence among the political branches of government. Traditionally, the courts have heard and determined electoral petitions after elections are concluded. In Kenya, apprehensions about electoral rigging has led the opposition to proactively file cases with the courts on issues of concern. The courts have, in turn, returned a string of decisions that have clarified the electoral process, likely enhancing its credibility. In one of these cases, the High Court decided that results read out at each polling station were final and that the IEBC had no power to vary the numbers following their transmission to Nairobi as has been the case in past elections. This decision was confirmed by the Court of Appeal on June 23, 2017, and accepted by the IEBC, although it had strongly opposed ceding this control, with the support of the Attorney General and the ruling Jubilee coalition. In another significant case decided on July 7, a mere four weeks before general elections, the High Court nullified the tender for printing of presidential ballot papers on the grounds that the IEBC violated tendering law and procedure. The High Court ordered the IEBC to re-tender printing of ballots for the presidential election only. The opposition had alleged that the IEBC failed to follow the law by single-sourcing Al Ghurair Printing—a Dubai-based firm with reported links to the president’s family—and by not facilitating public participation in tendering. The High Court’s decision was reversed by the Court of Appeal on the grounds that public participation is not mandatory in public procurement. The opposition also filed a constitutional petition to compel the IEBC to publish a fallback plan for manually identifying voters and transmitting the tallies by IEBC agents should the Electronic Voter Identification (EVID) and electronic results transmission system fail as they did for over two-thirds of polling stations during the 2013 elections. In December 2016, the ruling coalition passed amendments to the electoral law to allow for the use of manual registers and tallying of results should the EVID fail. Advance publication of this manual system would introduce certainty to the process in such an eventuality. By adjudicating matters that clarify the preparation of elections, the courts increased the transparency of the process—and confidence in the validity of the results. The courts have also become an avenue of recourse for individual candidates, either to challenge the party nomination process or the award of the nomination to a particular contestant. A majority of these cases were still pending in courts weeks before the election—the outcomes of which could have far reaching implications for the electoral process and resulting leadership. The judiciary’s increased independence has not come without costs. Both President Uhuru Kenyatta and Deputy President William Ruto directly criticized the Chief Justice and the judiciary following the ballot paper decision. This elicited sharp reactions from the general public and the Law Society of Kenya, the country’s professional association of jurists, called on the presidency to not intimidate the judiciary. While litigation prior to the election has occurred at the High Court and Court of Appeal, it is expected that the Supreme Court and magistrate courts will be called into action after the election to adjudicate petitions regarding both the presidential and county assembly elections. In short, by adjudicating matters that clarify the preparation of elections, the courts increased the transparency of the process—and confidence in the validity of the results. More generally, the court cases are demonstrating the potentially stabilizing benefit of an increasingly capable and independent judiciary. The 2010 Constitution further established a Political Parties Dispute Tribunal (PPDT) to hear cases on appeal from the decisions of party election boards. Party election boards, which are mandated by law to resolve disputes relating to the nomination of candidates within each party, are designed as the first port of call for aggrieved candidates. For this reason, the tribunals are critical to avoiding violence arising out of nominations. In the 2017 election cycle, the PPDT adjudicated over 260 cases. On one occasion, the PPDT disbanded the Orange Democratic Party’s Electoral Board for Kisumu County over alleged bias. The PPDT also ordered a rerun of party nominations in several races. That the PPDT is fulfilling its role in adjudicating competing claims by candidates is likely to enhance the legitimacy of the electoral process and its stability. However, the effectiveness of the PPDT is limited by the amount of time available to it, given the tight deadlines set by the IEBC in the 2017 election cycle. Consequently, this is a focal point for future reform. The electoral reforms built into the 2010 Constitution have had a meaningful impact on strengthening the transparency and credibility of the electoral process. In sum, the electoral reforms built into the 2010 Constitution have had a meaningful impact on strengthening the transparency and credibility of the electoral process. Many of these reforms are still taking shape, and there continues to be resistance. Nonetheless, the emerging independence of the Kenyan courts, in particular, has created a pillar of credibility for the 2017 elections—and strengthened Kenya’s democratic institutions more generally. Dorina Bekoe, “Storm Clouds Gather in Kenya: Five Threats to Peaceful Elections,” Africa Center for Strategic Studies, Spotlight, July 17, 2017. Africa Center for Strategic Studies, “Past as Prologue in Kenya’s Elections? A Discussion with Peter Kagwanja,” video, May 23, 2017. IEBC, Handbook on Elective Positions in Kenya, IEBC 2017. Linda Musumba and Collins Odote, Balancing the Scales of Electoral Justice: Resolving Disputes from the 2013 Elections in Kenya and Emerging Jurisprudence, IDLO, 2016. Kenya National Commission on Human Rights and the University of Nairobi Centre for Human Rights, “Audit of the Statute of Police Reforms in Kenya,” 2015. 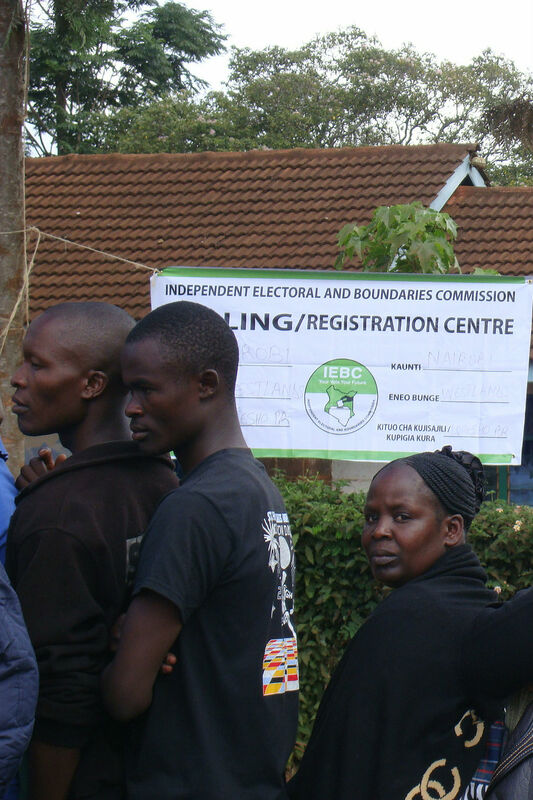 Independent Electoral and Boundaries Commission and Electoral Institute for Sustainable Democracy in Africa, Case Digest: Decisions of the IEBC Dispute Resolution Committee, 2014. Martin Andago, “The Technological Face of Kenyan Elections: A Critical Analysis of the 2013 Elections,” Kenya Law Reporting, 2013. Godfrey M. Musila (ed. ), Handbook on Electoral Disputes in Kenya: Context, Legal Framework, Institutions and Jurisprudence, Law Society of Kenya, GIZ, and Judiciary Working Committee on Elections, 2013.